I decided to share something fun and different today. When I was in Rapid City South Dakota I saw this. 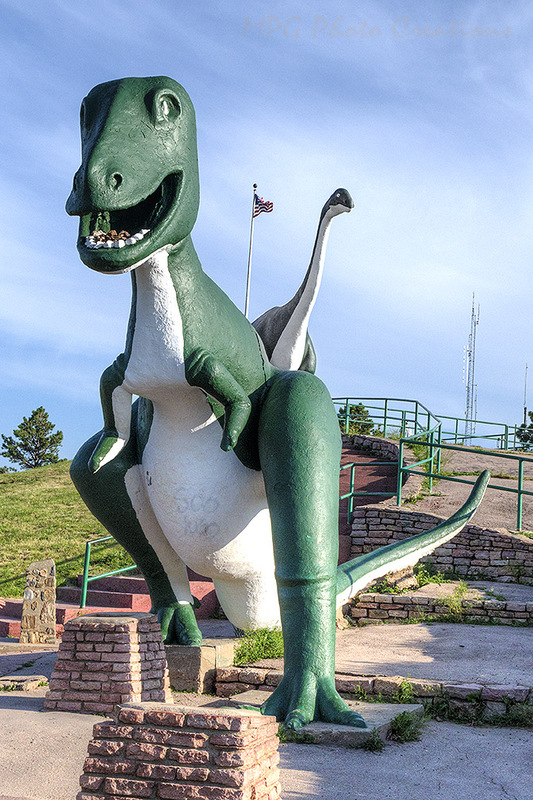 There is a park, called Dinosaur Park, high on a hill overlooking the city that had seven dinosaur figures made of concrete. They were created during the Depression by the Chamber of Commerce as a way to create jobs, get the government to pay for them and to get some of the tourist traffic to Mount Rushmore. They were dedicated on May 22, 1936.